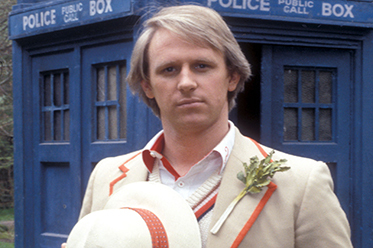 Legendary Fifth Doctor Peter Davison is heading to Brisbane in February for the Queensland premiere of the Doctor Who Symphonic Spectacular with the Queensland Symphony Orchestra, a spectacular musical event based on the recent Doctor Who 50th Anniversary Proms in the UK. Peter will host the show which will also feature specially filmed links from Fourth Doctor Tom Baker, who recently had a cameo role in the acclaimed 5oth Anniversary episode The Day of the Doctor. Also taking to the stage is renowned conductor Ben Foster. Ben has orchestrated and conducted Murray Gold’s music for Doctor Who since 2005, comprising 83 episodes to date, as well as concerts at the BBC Proms, Doctor Who Live and previous performances of the Doctor Who Symphonic Spectacular. A musical celebration of the iconic BBC series, the Doctor Who Symphonic Spectacular features Murray Gold’s captivating music, accompanied by specially edited sequences of Matt Smith’s performance as the Eleventh Doctor on the big screen. A host of monsters including the spine-chilling Silence and the awe-inspiring Daleks and Cybermen will add to the electric atmosphere. Inspired by the Doctor Who Proms at the Royal Albert Hall, the 2014 show will feature all-new content – including the latest music from the 50th Anniversary episode and forthcoming Christmas episode The Time of the Doctor, Matt Smith’s final performance as The Doctor. It will also feature a look back at some of the previous Doctors, some of the music from the last five decades as well as performances of some audience favourites from the 2012 show. Doctor Who celebrated its 50th anniversary in November last year with the simultaneous broadcast of The Day of the Doctor in 94 countries across 6 continents which saw the TV series receive the Guinness World Record for the largest ever simulcast of a TV drama. In addition to the TV broadcast, the episode was screened in over 1500 cinemas worldwide, including Australia, New Zealand, Canada, UK, US, Latin America, Germany, Russia and Scandinavia. For more information, visit: www.qso.com.au for details.